As a full service provider of commercial printing services Magagna & Company can help support your project from start to finish. Our wide range of commercial print services provide you with leading-edge, innovative print options including digital and offset, that will showcase your company’s image best to current and future clients. Magagna & Company’s digital printing solutions are perfect for small run print jobs. 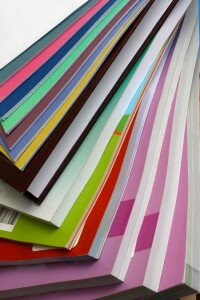 When printing in small quantities, opting to use a digital print machine is the most cost effective option. In addition to saving on your print job, digitally printed projects can be produced more quickly and offers the benefit of variable data printing for customization (i.e. personalizing letters). Our offset printing machines are perfect for producing high quality images and matching Pantone Colors when the ink colors truly matter. Although initially more expensive in small print runs, the higher the quantities the lower the cost per print. 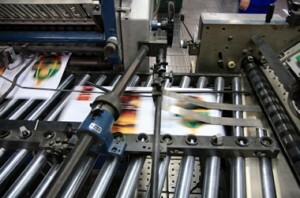 If you’re planning a large print project, we recommend using offset printing to save on costs. Not sure whether or not to use digital or offset? Just ask us and we’ll be happy to help you find the most efficient way to print your materials while staying under budget.